The past couple of months have been busy regarding wildlife and environmental work. 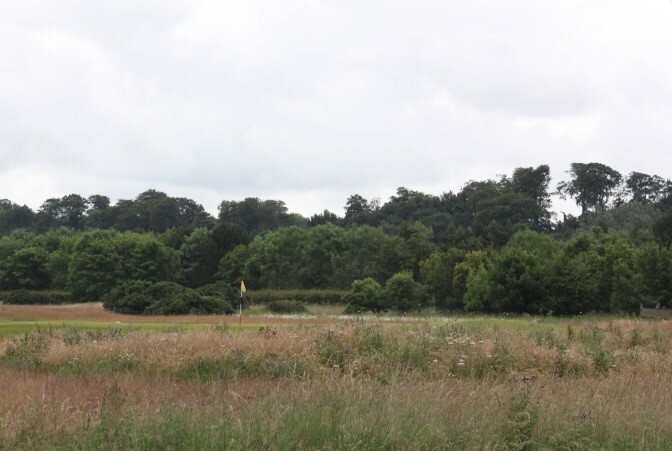 At the beginning of February, we were monitoring bird activity around the Eden Greenkeeping Centre as swifts, robins and wagtails were building nests under the shed’s roof. One particular pair of robins made their nest in a box of tee markers. We ensured there was a sign warning people to stay away and by the end of June the chicks were fully grown. Wagtails made their nest in a ditching machine which stopped us from moving it. Five little chicks were observed in the nest, but one morning we sadly noticed they were missing with scattered feathers surrounding the nest. We came to the conclusion it must have been the wildcat often seen around the sheds and clubhouse area. There’s been further bird activity with a rather unusual breed spotted by our gardener. 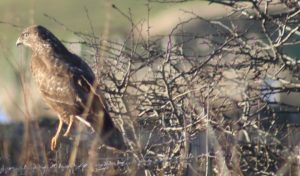 He identified a hobby falcon around the Old Course. These are rare in the east of Scotland and are much more common across central, southern and eastern England as well as the south of Wales. They just about reach the north of England/southern Scotland. 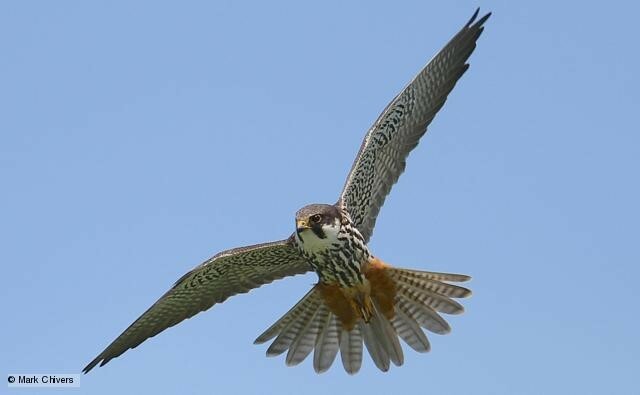 The hobby falcon is about the size of a kestrel with long, pointed wings, similar to that of a giant swift. It has a dashing flight and will chase large insects and small birds like swallows and martins. Its prey is often caught in its talons and transferred to its beak in flight. It can accelerate rapidly and is capable of high-speed aerial manoeuvres. Rounding off our bird observations; the pond on the Eden Course is a perfect habitat for ducks and moorhens. 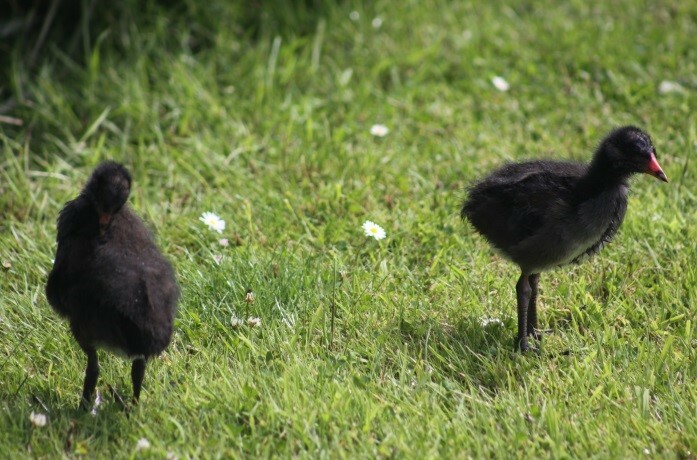 Every year from about June until the end of August, we watch ducklings and moorhen chicks being nursed by their parents. 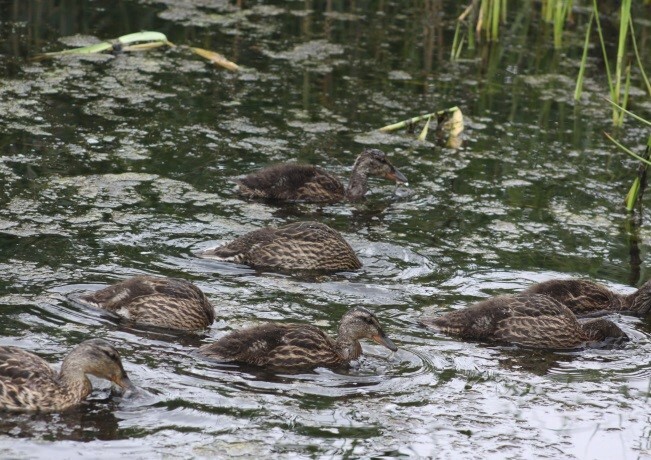 This year, there are two duck families (mother and seven chicks, mother and one chick) and one moorhen family with three chicks. It tells us the pond is well looked after and nurtures wildlife growth. These areas are thriving with a variety of colour on display. All of the following wild flowers are currently flourishing at present. How many do you know? 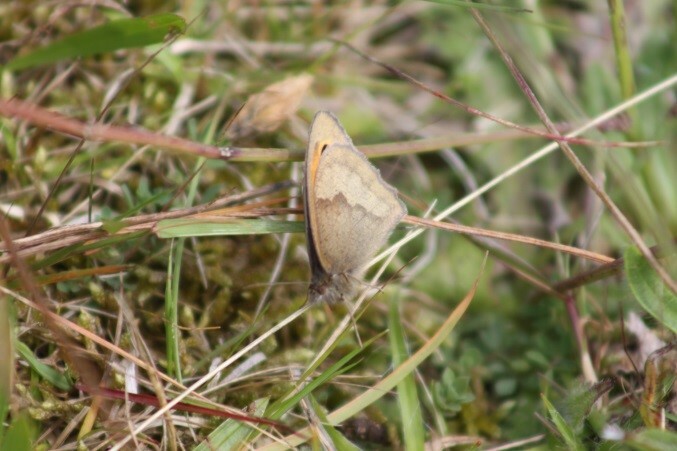 The common blue butterfly, meadow brown butterfly and bees are only three of the invertebrates regularly spotted there. 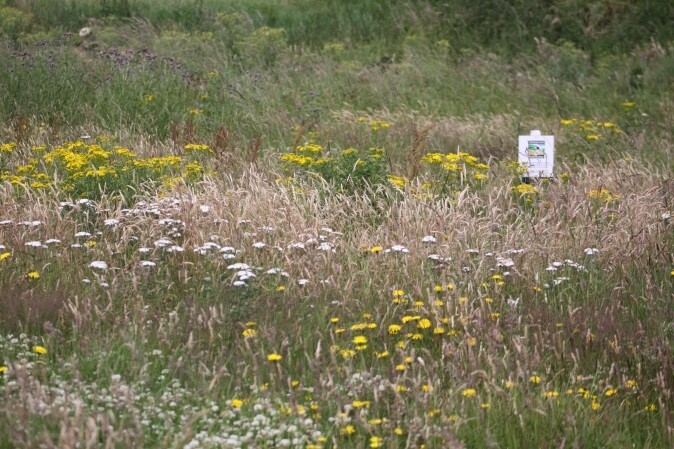 Our more recently developed pollinator areas at the 1st and 12th holes of the Strathtyrum Course are establishing themselves well, particularly the one behind the 12th green which is more of a wetland. 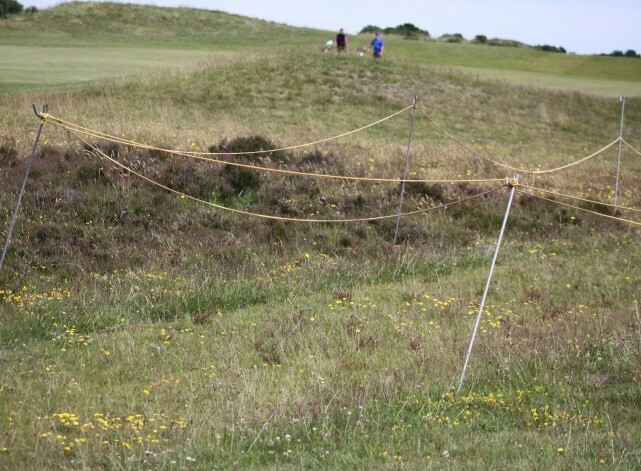 In May, 150 heather plants were sown to the right-hand side rough of the 12th hole on the Eden Course on an access track made by greenkeepers when the 5th green was being re-built. 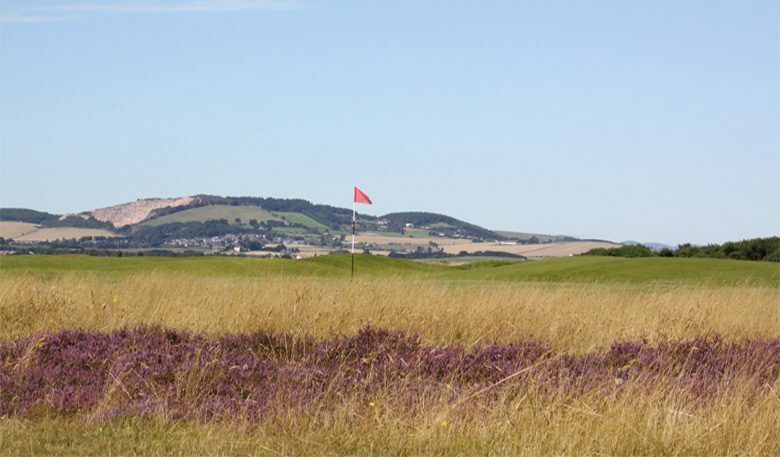 The location should be suitable for heather regeneration as it’s out of the way of golfing traffic and close to an already established heather area on the 6th hole which we are hoping to expand. The plants were taken from our gardener’s nursery and were watered daily throughout the dry spring. There are some signs of successful establishment, but experience tells us this is a slow process! 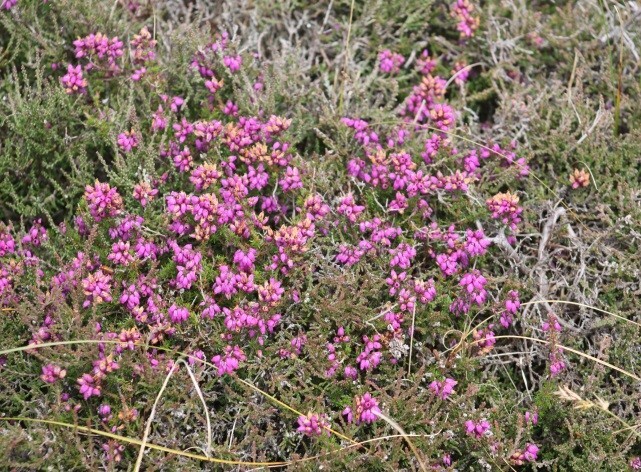 Bell heather is blooming in the heather areas. 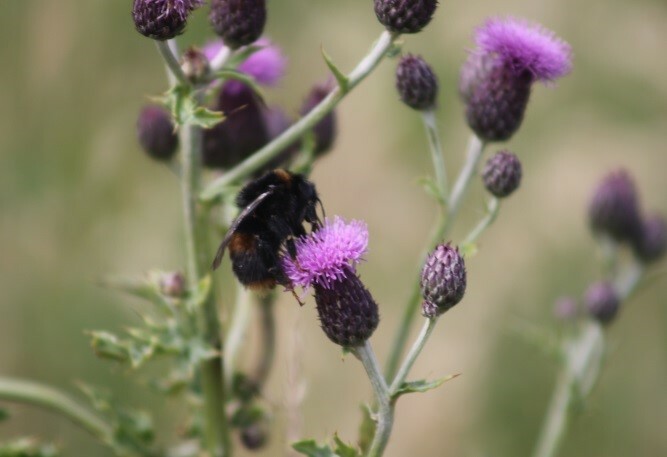 It’s an important nectar source for all kinds of insects including honey, buff-tailed and red-tailed bumblebees, ruby tiger moths and rare silver-studded blue butterflies. 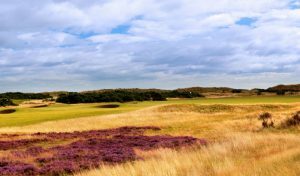 Interestingly, the honey that results from bees that feed on heather is dark, fragrant and very popular. 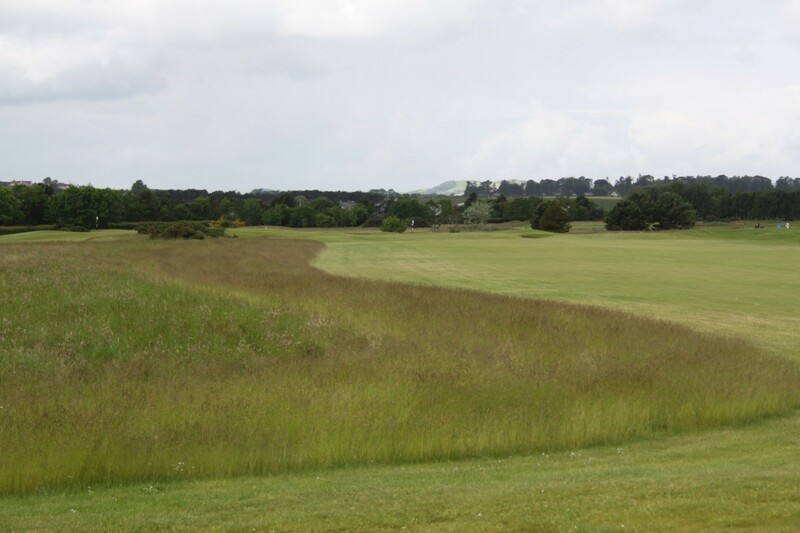 In June, July and into August, we carry out weed spraying in the rough areas. We spray thistles (not bull thistles) and some ragwort. 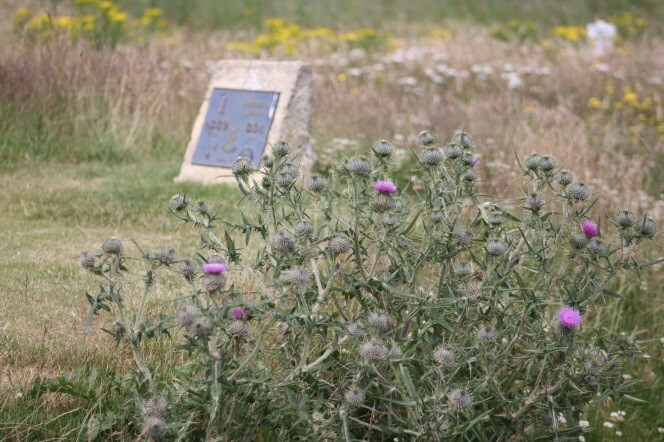 Bull thistles are left to attract bees and butterflies. Many types of insects and butterflies are attracted to thistles – even goldfinches use them for building their nests. 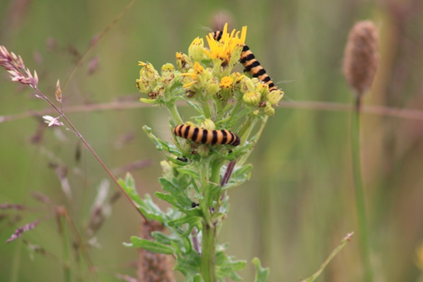 Ragwort is the only food source for cinnabar larvae and we make sure we leave some untouched in areas away from golf. 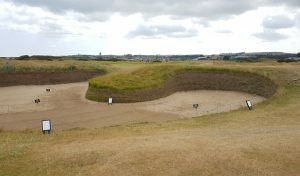 Hogweed in the ‘golfer’s rough’ had become a problem, but spot treatment with a knapsack sprayer has helped control it. Finally, we are noticing great results from our rough management efforts from previous winters. The fescue grass is growing nice and wispy making it much easier to find golf balls!